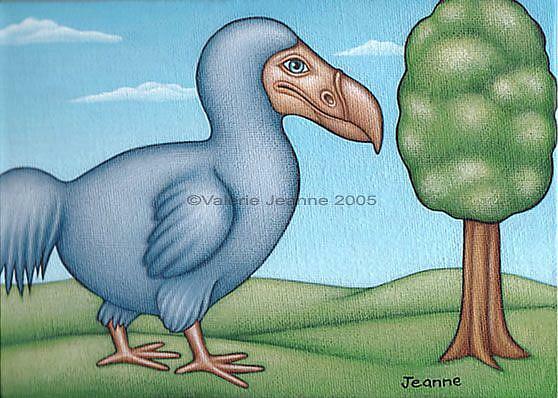 Here is my vision of the extinct dodo bird. This species may be resurrected some day--hopefully soon--when scientists are able to clone new dodos from DNA salvaged from dead dodo specimens. Won't that be splendid! Did you know: The dodo bird was a type of columbiforme, related to pigeons and doves.